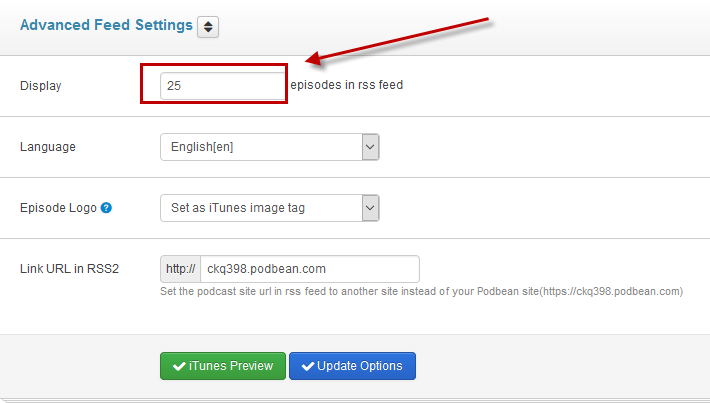 You can change the number of episodes (posts) on your Podcast site and in your feed by clicking the "Settings" -> "Feed/iTunes" ->"Advanced Feed Settings" tab . Then set the number of posts to be displayed in your site and in your feed. Please note that if your feed is too large, it might be denied by other sites such as iTunes.